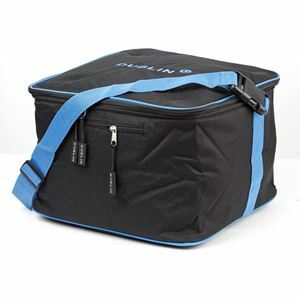 The Dublin Imperial Hat Bag has a stylish and durable outer fabric, is satin lined with padding for extra protection. This is perfect for protecting your riding hat from the elements at competitions or in the tack room. Perfect for protecting your riding hat at competitions or in the tack room.